Why You Should Stay at Dreams Playa Mujeres According to Kids! One super cool thing about this property is definitely their Core Zone Teen’s Club. Not your usual club by any standards, it features a rock climbing wall, basketball court, Euro-bungee, batting cage, archery, arcade and video game station, including the world-famous Fort Nite. What made this club a stand out for Matteo is that it actually catered to what a teenager considers fun and it was perfect on a rainy evening or when he simply wanted a break from the sun. The Core Zone Teen’s Club and the Explorer’s Club for Kids provide a lot of fun alternatives. If there is one thing parents know, not all kids like hanging out at the beach. In fact, many prefer playing in a pool over the salty ocean. That’s definitely the case with Matteo and Emily. It doesn’t matter what I say or how I try to entice them to stay at the beach (keep in mind this was also a powder-white sand beach with private beach cabanas, two bars and NO seaweed), they always chose to play in the pool, and I get it. It’s not easy to play Marco Polo in the ocean nor do handstands with the waves knocking you over. Thankfully, Dreams had plenty of pools for them to chose from surrounded by stylish, comfy nooks where I could sip cocktails, tan or catch up on some reading in between joining them for a cool dip and some rounds of Marco Polo. Dreams is also home to a great water park with two huge waterslides, so whenever the kids needed a healthy adrenaline rush they headed over to the slides to have one! I admit it! When Matteo included the Grotto Pool Bar in his Top 3, I am certain my face had a "WHAT?!" expression on it, evidenced by his quick response to explain why. In my defence, I thought he would have mentioned the amazing Pirate Show, the deliciously entertaining Tappaniaki experience at Fusion Japanese Restaurant, or the Hobie Cat. But alas, his choice was the Grotto Pool Bar. I guess when you think about it, it is pretty cool (both literally and figuratively) to swim into a glimmering grotto beneath a waterfall to sip on what Matteo professed to be the “BEST PINA COLADA EVER,” alcohol-free of course! Coming from a family who likes to eat. No, let me rephrase that . . . LOVES to eat, there is a certain amount of pride and satisfaction when you hear your 11-year old niece chose ‘food’ as her top pick. When you have a kid like Emily who can devour a steak and eat a piece of lamb down to the bone, you can bet food is important to her, regardless of age, and Gaucho Steakhouse was her favourite. Her go to staple was Dolce where she ate ice cream, cookies and drank iced coffee each day, decaf of course! While we are on the topic of food, Emily really loved learning to make sushi with one of the hotel’s executive chefs. Note: We did not pay extra to do this, nor was this an experience arranged solely for us. Learning to make sushi and guacamole are just a few of the fun activities guests can partake in each day for FREE. At the gorgeous Dreams Spa by Pevonia®, spanning almost 16,000 sq.ft., the kids experienced their first fish pedicure. At first they were a bit hesitant to place their feet inside the aquariums, but once they did they had a blast. I think this picture is proof enough! And while the kids were being pampered, my sister and I disconnected and decompressed in the Watsu pool for a Watsu massage; this gentle form of water therapy combines elements of massage, joint mobilization, shiatsu, muscle stretching and dance. If water therapy is not your thing, there are many other treatments. Whatever your preference, the Dreams spa is like a sanctuary within a sanctuary. One of the most amazing experiences I have ever had on a resort was the Temazcal located in the Dreams Spa. Before partaking in this sacred ritual in a traditional indigenous sauna, my sister and I performed a cleansing sun salutation on the beach at noon led by two shamans, a man and woman. The word temazcal comes from the Nahuatl word temāzcalli [temaːsˈkalːi] ("house of heat"), or possibly from the Aztec teme (to bathe) and calli (house). I have always wanted to partake in this ritual that is said to place you face to face with your deepest fears and purify the body and mind. I was scared at first because I worried that I would not be able to take the heat, that I would feel claustrophobic, that I would run out screaming or on a stretcher after having fainted, but I decided that it was now or never and bravely entered the confined dark space. As the shaman chanted and placed hot stone on top of hot stone, the heat rose and so did my bravery. The ritual lasted an hour (many last two to four hours), but it left me feeling cleansed, more at peace, and connected to the Mayan people and their culture in a new found way. Quite simply, it was a beautiful experience. One I hope to have the courage to do again one day. Normally I am the first to skip out on the evening shows. Truth is I find many of them to be sort of repetitive, if not all together cheesy, but the Pirate Show felt like I was watching something that belonged in Cirque du Soleil and had my full attention the entire time. It also had Emily’s and that’s probably why she chose the evening entertainment as a top pic. Dreams also hosted a beautiful bbq outside the theatre with dinner tables set up inside, so guests could dine and mingle before the show which was a nice touch. There were also Mexican artisans selling local handcrafted goods and Emily purchased herself a lovely bracelet, while my sister came home with a lovely hand painted guacamole bowel. Dreams Playa Mujeres is framed by beautiful natural landscapes and aquamarine waters on the beguiling shores of Playa Mujeres—a pristine peninsula with white sand beaches located 10 miles north of cosmopolitan Cancún in an exclusive gated community. From August 18th to December 15th, 2018, (excluding Thanksgiving holiday) KIDS STAY FREE with two adults. This is a great opportunity to come experience 65,000 square feet of swimming pools, an on-site water park, spa, ten dining options and thirteen bars, as well as complimentary greens fees at the Playa Mujeres Golf Course next door. ADDITIONAL INFORMATION FOR PLANNING YOUR 'DREAMS' GETAWAY! AMResorts is a collection of luxury resort destinations, each with its own unique personality. Raising all-inclusive to a New Level of Luxury®, every one of our resorts features Endless Privileges®, Unlimited-Luxury®, Defined Delights™ or Unlimited-Fun®, that offers sun-soaked beaches, elegant accommodations, a world-class spa, gourmet dining, unlimited premium drinks, and many other pampering amenities. Visit amresorts.com. 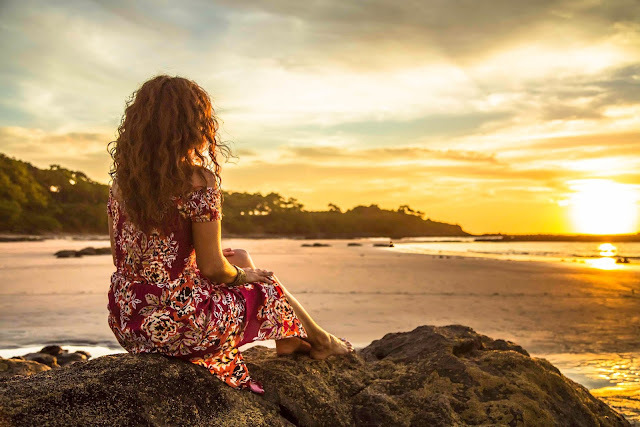 Discover Zoëtry Wellness & Spa Resorts and Secrets, Dreams, Now, Breathless and Sunscape Resorts & Spas, and get ready for the VIP experience of a lifetime! Visit transat.com. For unforgettable excursions and top of the range airport transfers, I trust and use Amstar. My airport transfers were provided by Amstar Meetings & Events division. Visit amstardmc.com. High above the azure waters of the Tyrrhenian Sea on a series of steep rocky cliffs, are the seaside villages of Italy’s renowned Amalfi Coast, a place so enchantingly beautiful its memory remains etched upon the hearts of those who visit long after they have gone. 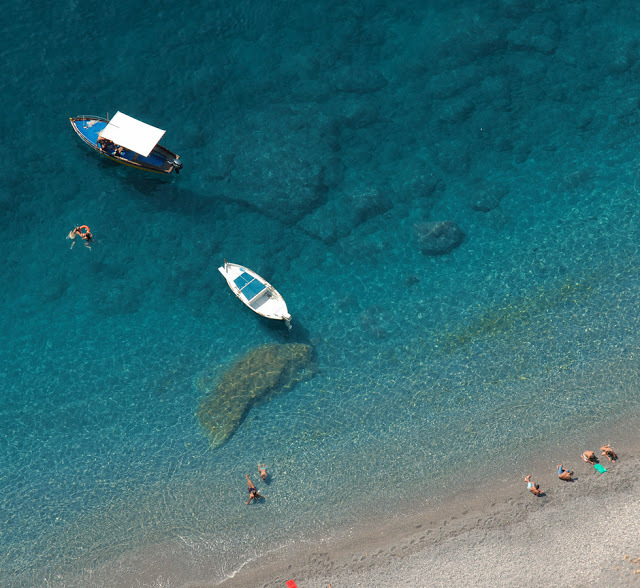 The Amalfi Coast is what Italian summer dreams are made of. 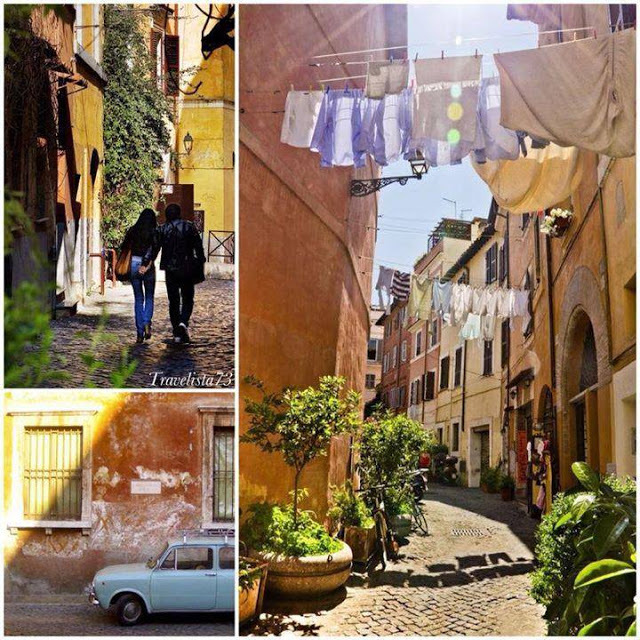 It is a region so dreamlike, that many have tried to capture its beguiling beauty in literature, film and on millions of Instagram accounts around the world. However, to truly appreciate the essence of the Amalfi Coast, it must be experienced, slowly savoured like the final moments of summer you want to hold onto forever. La Costiera Amalfitana is made up of 13 villages dripping with flowers and lemon groves, magically suspended between the shimmering sea and green-swathed mountains on the southern coast of the Sorrentine Peninsula, south of Naples. The coast stretches 43-miles from Punta Campanella to Salerno, and includes the picturesque towns of Positano, Amalfi and Ravello. Many treasures lay hidden within this celebrated coastline, among them, the town of Vietri sul Mare, where the region’s world-famous coloured ceramics and tiles are produced. This favourite haunt of the rich and famous, honeymooners, and tourists alike, was awarded a coveted spot on the UNESCO World Heritage list in 1997. 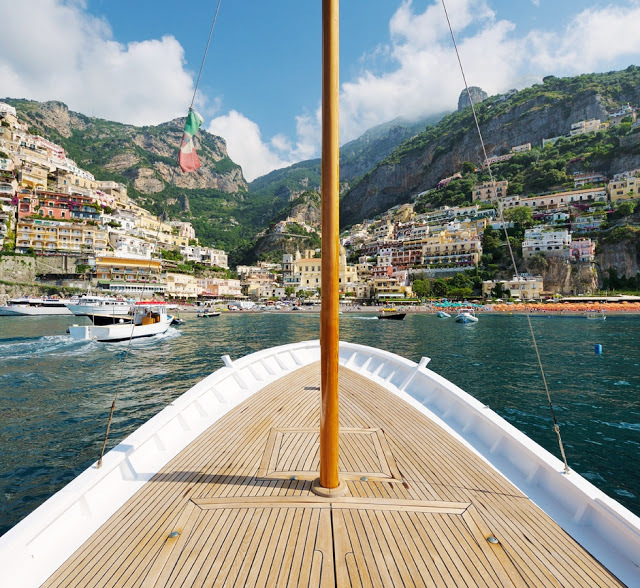 The best way to take in the splendour of the Amalfi Coast is at sea, while leisurely sailing along its magical shores, basking in the Mediterranean sun and soaking in the glorious landscape. 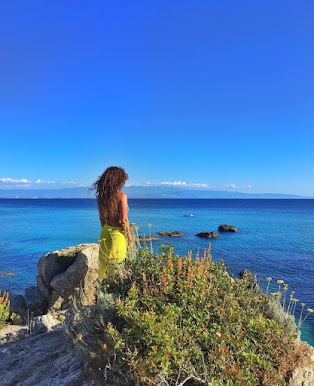 This also provides an opportunity to discover many of its cove-hidden beaches and secluded seaside restaurants like Conca del Sogno in Nerano, the perfect lunch spot. Take an exhilarating drive along the winding cliffs of Strada Statale 163 with the wind in your hair and ocean plunging at your feet, as you slice through sun kissed villages. 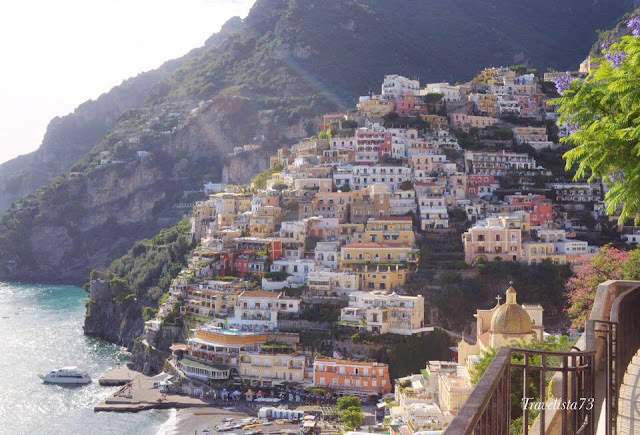 Whichever you prefer, one thing is certain, the Amalfi Coast will cast its spell on you. Sorrento opens its doors to La Costiera Amalfitana and provides a convenient base for exploring the coast. The town is filled with seaside resorts, restaurants and artisanal shops that spill onto vibrant streets selling an array of handmade sandals, Limoncello liquor, souvenirs and other local goods - many lemon-inspired. The cliff on which Sorrento rests is poised like a beautiful terrace and boasts commanding views across the Bay of Naples to Mt Vesuvius. On a clear day you may even see Pompeii or Capri. This region is renowned for having some of the richest, freshest cuisine in the world. At Ristorante Lo Scoglio, take in the impressive views as you dine on fresh Mediterranean specialties. Don’t forget to visit the Sorrento port, where you can set sail for the neighbouring islands of Capri, Ischia and Procida. Further south is the region’s crown jewel, the legendary town of Positano, where cliffside homes cascade down to the shore in a panorama of ochre, terracotta and pastel hues; the gold and green mosaic dome of the Church of Santa Maria Assunta glistens beneath a crystal blue sky, a view that will leave you breathless! Positano provides a picturesque setting to revel il dolce far niente - the sweetness of doing nothing. 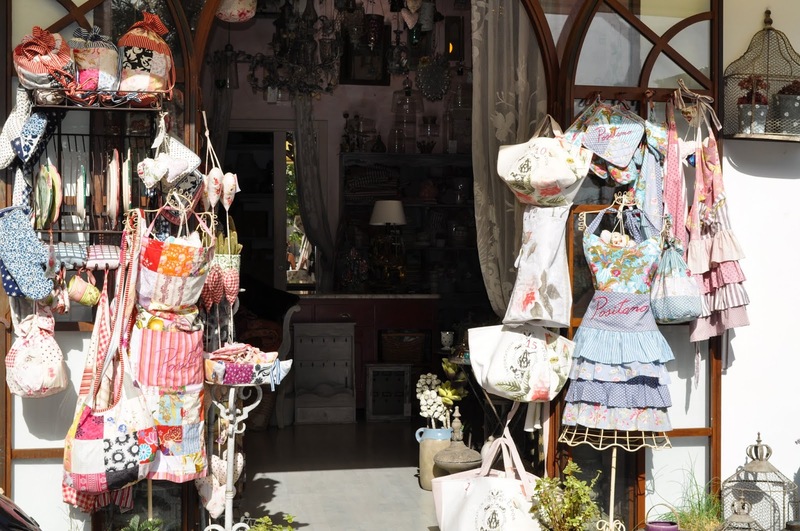 Lounge on the rocky beach of Spiaggia Grande or browse the boutiques that line Positano’s atmospheric streets. Sip an aperitivo alfresco - preferably an Aperol Spritz - and dine on fresh fish under the canopy of lemon trees. For a slice of heaven, go to La Zàgara pasticceria and try their Delizia al Limone cake. If you want to treat yourself to something truly magical, head to the legendary Le Sirenuse Hotel and splurge on a cocktail or meal at their poolside restaurant, La Sponda, while savouring the magnificent views. Situated on the mouth of the Valle dei Mulini, Amalfi is the shimmering medieval town that gives its name to this famous coastline. 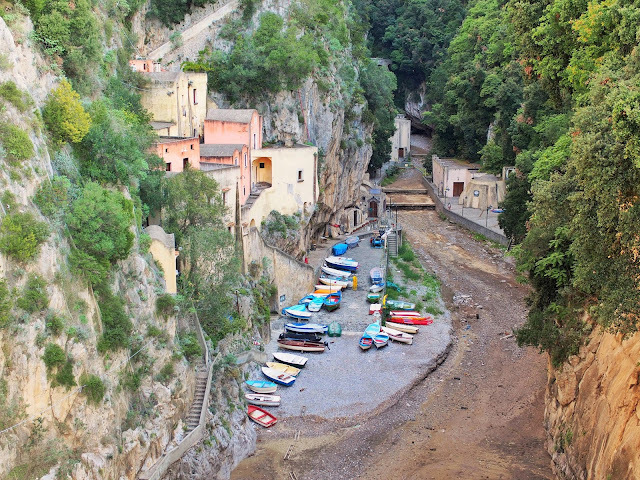 Once the seat of the Amalfi Maritime Republic, one of the world's great naval powers in the 12th century, the town dwellings are connected by covered passageways and stairways reminiscent of its storied past. The main piazza houses a beautiful bell tower, an impressive cloister and the striking cathedral of St. Andrew towering atop a sweeping flight of stairs; it provides a scenic backdrop for the many cafes that line its square. At Gran Caffè, Amalfi’s place to see and be seen, sip on a Campanello, their signature cocktail of Campari and Limoncello. Other points of interest include Amalfi’s Museum of Handmade Paper, housed in a cave-like 13th-century paper mill. Four kilometres west of Amalfi, see the luminous Grotta dello Smeraldo, where emerald light is magnificently reflected off the cavern walls. Perched on a ridge 365 metres high above Amalfi and the neighbouring town of Atrani, the romantic hilltop town of Ravello is bursting with fragrant gardens, grandiose villas and mind-blowing views over the entire Gulf of Salerno. The best views on the coast, maybe even the world, can be seen from the terrace of the 11th-century Villa Cimbrone lined with classical-style statues and busts. To the south of Ravello’s cathedral and Piazza Duomo, a 14th-century tower marks the entrance to Villa Rufolo, famed for its cascading gardens where notes of lemon hang in the air. Ravello is a town of music and art, and is host to the summer-long Ravello Festival, one of the oldest in Italy. Music lovers from all over gather to listen to outdoor performances set against inspiring views. A hike along the "Trail of the Gods" is a must-see! Lose yourself in the expanse of sea and sky along a network of paths connecting villages and towns all over the Sorrentine Peninsula. The path begins in Bomerano, a village 630mt in the mountains between Sorrento and Amalfi, and ends in Nocelle where you can unwind with a delicious meal. The trail stretches approximately 4.5 hours across terraced vineyards, lemon trees and olive groves with views over caves and a gorge, the perfect adventure for hiking enthusiasts. After a few days exploring this magnificent coastline, set sail for the Isles of the Amalfi Coast! 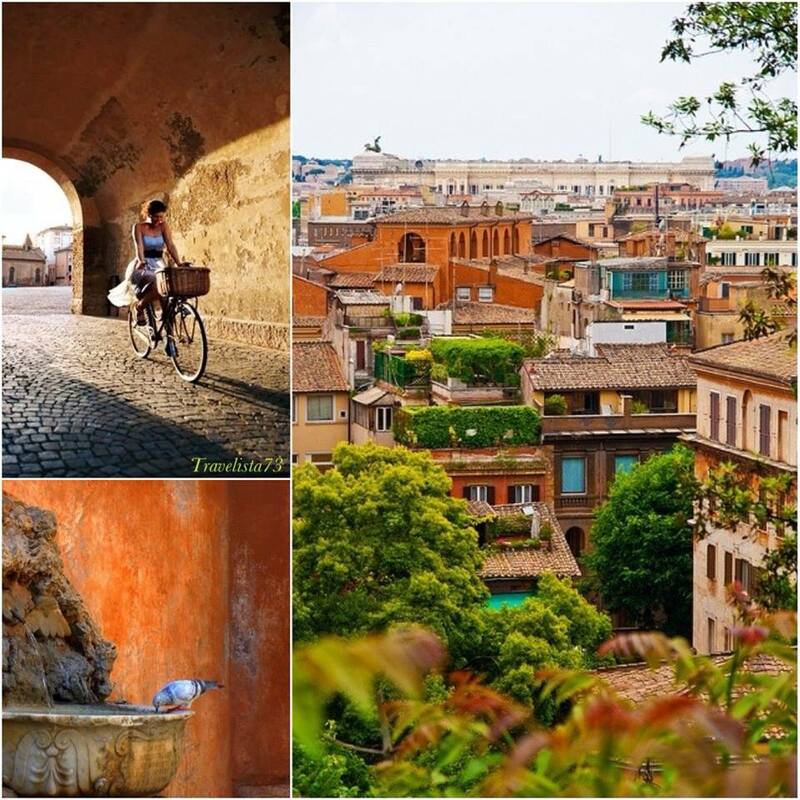 For your daily source of travel inspiration, visit Travelista73 on Facebook and Instagram!